As we face challenges with the economy do It yourselfers are growing, increasing numbers of people are renting electrical and air powered nail guns to make their projects easier. Even though these heavy duty tools can make life easier it is important to follow safety precautions. With any equipment it can do as much harm as it can do good. As an amateur don’t define exactly how dangerous a tools might be by how easy it is to use. Nail guns are easy to use and very useful, Nail Guns pose several risks. Both armatures and experts can benefit from understanding the numerous nail gun dangers and essential safety operations. A pull of a trigger sends nails straight into hardwoods together and through other surfaces. The Nail Gun looks like it could be just as dangerous as a real gun. There is one major difference with a nail gun it has a compression head that it has to be pressed to a surface prior to pulling the trigger. So unlike the movies you cannot use a nail gun like a real gun, it must be pressed against a surface to use. With a few basic safety tips any do-it yourself carpenter can be proficient. 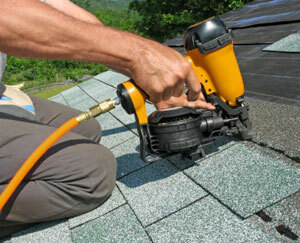 The Nail Gun will help to accomplish the job quickly, more precisely and is actually easy to use. No doubt, you will discover several models available to rent. Some are cord-less and possess apparent benefits. All of them operate by pressing the nail gun to the surface of the material and simply pulling the trigger. Regardless of the type of nail gung injuries may ensue with incorrect use. The section of this article be helpful to keep everyone at the job site safe. No matter where you are working on a he residential project or perhaps a commercial one. One should be aware precisely how effective these tools might are, and they can cause injury. To begin with is keep your fingers hands and any other body part away from the Nail Gun Head. Many nail injuries are from placing your foot in the wrong place at the wrong time. Make sure the work area is safe to operate in. Loose objects or tripping hazards have caused several mis-fires that the operator did not intent. Ensure you have firm stance and footing before using the tool. Always disconnect from the power source before moving to a new location. If operating a air powered nail gun, disconnect from the compressor , move the air hoses to the new location then reconnect the air source when you’re ready to use the pneumatic nail gun. If the nail gun is electric, turn off the power, unplug the cord and move to a new location. Again make sure that the power cord is ran in a way that is not a tripping hazard. If it is a cordless device turn off the power and ensure the device in a safe mode of operation. All tools should be disconnected and safely stored when not in use. Before nailing any surface, you need to make certain that there is enough clearance on either side and that the nail will not penetrate any electrical or water lines. Practice operating the tool in a safe area first on a sample piece of material to determine how far the nail will go through and how much trigger squeeze you need. The operator must learn how to operate the tool properly, because double firing can easily happen. When nail gun jams do happen, make sure the power is off, the air hose is disconnected and air bled off in the tool prior to attempting to clear the jam. When using a cordless model and the nail gun jams remove the battery prior to clearing the jam. If you are uncertain about the operation of the nail gun or how to clear the jam, call your rental office to get advice on how to proceed. Always stay with the manufacturer’s recommendations and read any manuals that may be provided with the nail gun. Each model differs from another, even though they have many parallels. It’s crucial that you be familiar with particular model before use. Never alter the operation of the nail gun.